Hide deals from seller "BFF Personal Training"
Limit 1 per person. Valid toward any services. By appointment only. Services available at studio only. Full value of Gift Certificate must be redeemed in 1 visit. Embark on a new fitness journey with 50% off a $100 Gift Certificate to BFF Personal Training in Park Ridge. 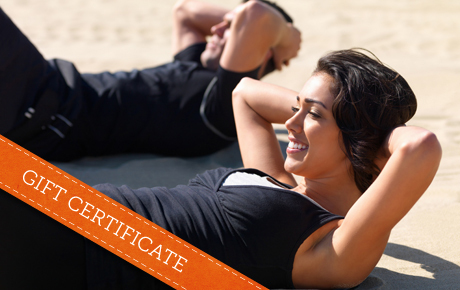 You can apply this Gift Certificate toward a variety of services to help you stay in shape. Lisa Gordon, founder of BFF Personal Training, has a true passion for helping others achieve their fitness goals. She is certified through the American Council on Exercise and also holds CPR, AED and first aid certifications through the American Red Cross. Lisa regularly attends seminars on weight loss, nutrition and exercise to ensure she is providing her clients the most effective and most enjoyable experience possible. Whether you want to relieve stress, reduce body fat, tone your muscles or increase energy levels, BFF Personal Training is up to the challenge. Personal Trainers in Des Plaines that provide safe and fun workouts for individuals and small groups.